Researchers gave college students vodka drinks with regular soda and with diet soda, and the diet soda group got more intoxicated, faster - about 20% more intoxicated than those who mixed regular soda with liquor, according to research published Tuesday in the journal Alcoholism: Clinical & Experimental Research. Sugar in your mixed drink actually slows down the effects of alcohol, researchers say. "What you choose to mix your alcohol with could possibly be the difference between breaking or not breaking the law," says study author Cecile Marczinski, assistant professor in the Department of Psychological Science at Northern Kentucky University in Highland Heights, Kentucky. But the students said they felt the same no matter what they drank, even though tests showed the diet drinkers were about one-fifth more intoxicated. To put that in perspective, you'd have to add almost a whole other shot of vodka to the sugar-sweetened drink to equal the potency of the diet drink mixture. "The subjects were unaware of this difference, as measured by various subjective ratings including feelings of intoxication, impairment, and willingness to drive," says Marczinski. "Marczinski's findings are very consistent with what we've found in the field in a natural drinking environment. When the mixer is diet soda, the bar patrons tend to have somewhat higher intoxication levels than when they consume regular soda," says Dennis Thombs, professor and chair of the Department of Behavioral and Community Health, School of Public Health at the University of North Texas in Fort Worth. 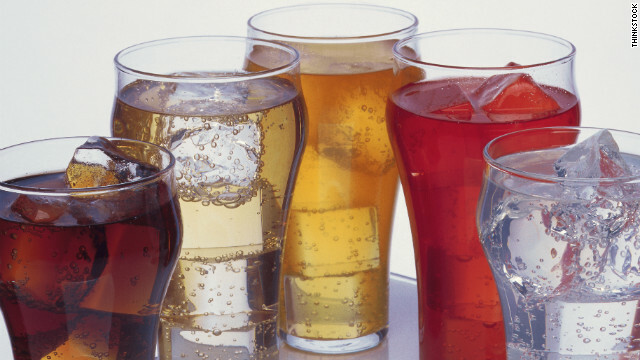 People often mix diet soda and alcohol to save on calories. And women make this choice more than men. But Marczinski says it's not worth the trade-offs. "It's much more harmful to the brain, to your liver, if you have a higher blood alcohol level. A few extra calories is not going to make that much difference (in your weight)," says Marczinski. In her study, students drinking the diet mixture only reduced their calorie count by 130. That's not the case with regular soda and liquor. Experts say the stomach treats this combination as if it's food. Digestion slows everything down, delaying the release of alcohol into our system, and spreading it out over a longer period of time. "I think the takeaway from this study is, don't trust your judgment about intoxication levels, you may be off," says Marczinski. "And many times people think they're safe to drive and they are in fact not." Stop Poisoning yourself with artificial sweetener and artificial flavors, preservatives and additives. These and other chemicals added to prepared foods and beverages actually prevent your brain from sending messages to your cells. There is a reason why so many dieters cannot lose weight! Detoxify your system from the harsh chemicals found in refined foods and beverages. Discover the powerful anti-oxidants found in the Scandinavian Secrets to remarkable health and wellness. Release your organs from the suffocating effects of too much visceral fat! Discover Wellness with Visi! happy. I've read this post and if I could I want to counsel you few fascinating things or advice. Perhaps you could write subsequent articles referring to this article. I want to learn even more issues about it! Distilled beverages bottled with added sugar and added flavorings, such as Grand Marnier, Frangelico, and American schnapps, are liqueurs. In common usage, the distinction between spirits and liqueurs is widely unknown or ignored; consequently, all alcoholic beverages other than beer and wine are generally referred to as spirits."",.
" the diet soda group got more intoxicated, faster"
So now we've just created a new fad among teens and college students! I'd say the real takeaway here is: If I use diet soda as a mixer, I only have to buy 4 drinks (instead of the 5 it would take with regular soda) to get just as intoxicated. That's a $5-10 savings (depending on where you're drinking)! Thanks for the ideas shared on your own blog. Yet another thing I would like to convey is that losing weight is not exactly about going on a fad diet and trying to lose as much weight that you can in a few months. The most effective way to lose weight naturally is by acquiring it gradually and using some basic suggestions which can allow you to make the most through your attempt to lose weight. You may know and be following these tips, although reinforcing awareness never damages. While diets may get us intoxicated faster, it gets us sober faster. Drinking coffee while intoxicated helps process the alcohol quicker and get it out, together with water. If we mix alcohol and soda then can we drink it after one year? Thats was very userful, thanks for the info! I was also able to find new Coke Coupons 2014 too. Needed to create you that very small remark so as to thank you very much once again for these remarkable views you have discussed on this site. This is so seriously open-handed with people like you to offer openly all that a lot of people would have distributed as an e-book to help make some bucks for their own end, chiefly considering the fact that you could possibly have tried it in the event you desired. These ideas also served as the fantastic way to understand that other individuals have the identical interest similar to mine to find out very much more around this condition. Certainly there are several more pleasant periods ahead for many who look over your site. Needed to form you that very small remark thus on thanks very much once once more for these outstanding views you have discussed on this website. This is thus seriously open-handed with folks like you to offer brazenly all that a ton of people would have distributed as an e-book to help build some usd for his or her own end, chiefly considering the very fact that you'll presumably have tried it in the event you desired. These ideas additionally served as the amazing way to understand that different people have the identical interest similar to mine to seek out out terribly abundant more around this condition. Certainly there are many a lot of pleasant periods ahead for several who look over your site.